The Leonid cosmic show is peaking this weekend. Likely obscured by clouds and rain in NYC. But. 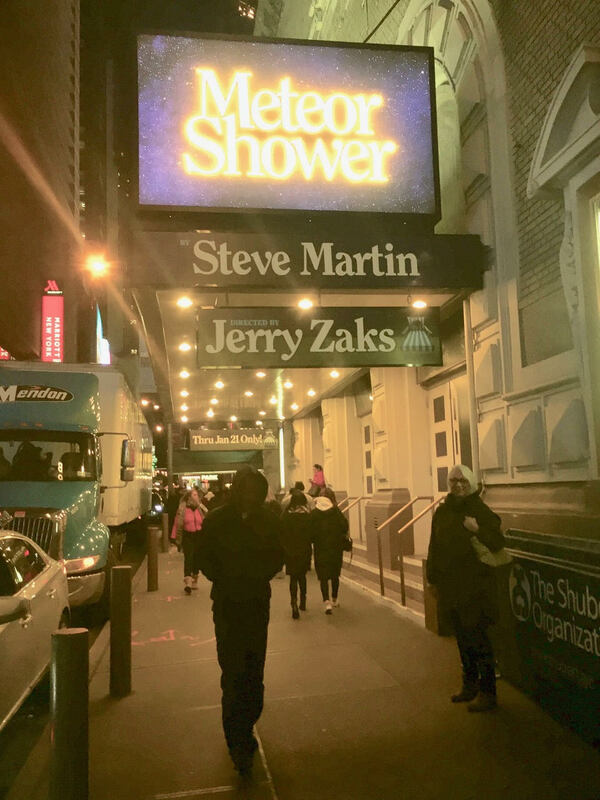 Just down the road Meteor Shower is in previews on Broadway. Got to see it last night. Steve Martin’s homage to the narcissistic relationship-sharing nineties. Set in Ojai California 1993 at a modest modern hilltop home. Amy Schumer & Jeremy Shamos invite a new couple Keegan-Michael Key & Laura Benanti over for cocktails to watch the meteor event from their terrace. Hilarity and marital combustion ensues. It’s not deep nor serious dramaturgy. But anything that can make you laugh for the better part of ninety minutes to forget the “male-strom” here on Earth is a wonderment.